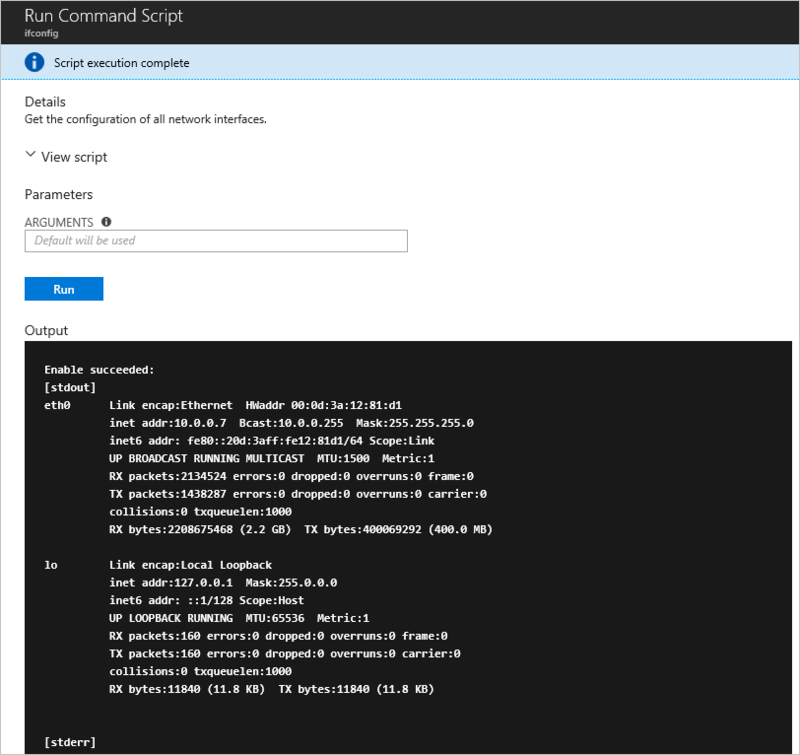 Run Command uses the VM agent to run shell scripts within an Azure Linux VM. These scripts can be used for general machine or application management, and can be used to quickly diagnose and remediate VM access and network issues and get the VM back to a good state. There are multiple options that can be used to access your virtual machines. Run Command can run scripts on your virtual machines remotely using the VM agent. Run Command can be used through the Azure portal, REST API, or Azure CLI for Linux VMs. The following are a list of restrictions that are present when using Run Command. The following is an example using the az vm run-command command to run a shell script on an Azure Linux VM. az vm run-command invoke -g myResourceGroup -n myVm --command-id RunShellScript --scripts "sudo apt-get update && sudo apt-get install -y nginx"
To run commands as a different user, you can use sudo -u to specify a user account to use. Choose a command to run. Some of the commands may have optional or required input parameters. For those commands the parameters are presented as text fields for you to provide the input values. For each command you can view the script that is being run by expanding View script. RunShellScript is different from the other commands as it allows you to provide your own custom script. Once the command is chosen, click Run to run the script. The script runs and when complete, returns the output and any errors in the output window. The following screenshot shows an example output from running the ifconfig command. This table shows the list of commands available for Linux VMs. The RunShellScript command can be used to run any custom script you want. RunShellScript Executes a Linux shell script. ifconfig Get the configuration of all network interfaces. Running a command requires the Microsoft.Compute/virtualMachines/runCommand/action permission, which the Contributor role and higher have. See, Run scripts in your Linux VM to learn about other ways to run scripts and commands remotely in your VM.